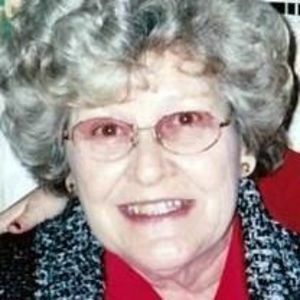 Yvonne Elizabeth Clapp May, 82, passed away on Monday, November 6, 2017 at Beacon Place in Greensboro. A graveside funeral service will be held on Thursday, November 9, 2017 at 3:00 p.m. at Macedonia Baptist Church Cemetery in Liberty. For over 40 years, Yvonne worked as a cosmetologist and owned Yvonne May's Beauty Shop. She loved gardening and always appreciated colorful flowers and birds. She was a loving mother and grandmother and will be missed dearly. Yvonne was preceded in death by her parents, Myrtle and James Marvin Clapp; sister, Virginia Tucker and brother, James "Buggy" Clapp. She is survived by her son, Dan May; daughter, Beth Redner; granddaughters, Lauren May and Jennifer May; and brother, Harold "Sam" Clapp. Loflin Funeral Home in Liberty is honored to serve Yvonne's family.